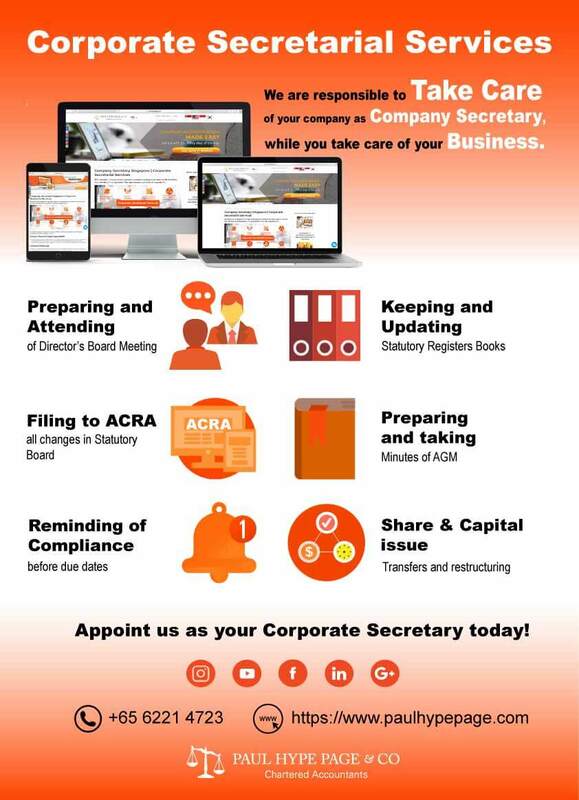 All companies in Singapore are required to appoint a company secretary within 6 months from the date of incorporation. This requirement is set in the Companies Act. As nominee Company secretary, we are responsible for you. We manage the duties of Company Secretary, while you manage your business. Coordinating the operation of the company’s formal decision making and reporting machinery; formulating meeting agendas with the chairman and /or the chief executive; attending meetings, taking minutes; maintaining minute books; certifying copies of minutes; and ensuring that correct procedures are followed. Monitoring and ensuring compliance with relevant legal requirements, particularly under the Companies’ Act. Monitoring movements on the register of members. This helps to identify an apparent ‘stake-building’ in the company’s shares by potential takeover bidders. The company secretary will also make inquiries of members as to beneficial ownership of holdings. Implement changes in the structure of the company’s share and loan capital and devising. Implement and administer directors’ and employees’ share participation schemes. Ensuring the safe custody and proper use of the company seal if provided for in the company constitution. We will remind and alert clients on deadlines for filing and other compliance work. The Singapore Companies Act mandates that every Singapore incorporated company is required to appoint at least one local company secretary. This person is responsible for the company to handle ongoing statutory compliance matters. Corporate compliance in Singapore is a complex legal requirement (must have) for all Singapore registered companies. The Accounting and Corporate Regulatory Authority in Singapore governs the reporting/statutory obligations of companies and its officers. Paul Hype Page company secretarial team helps your company fulfill the statutory obligations in an efficient manner. Company secretarial services comprise the maintenance of the statutory books of the company. Businesses are constantly placed with ever-increasing day-to-day administrative burden. They face various regulatory as well as reporting requirements, and at times, that could be very challenging. They are definitely not exempt from making mistakes due to inability to meet certain restrictions and obligations. As entrepreneurs, you need to know that the central business decisions are correctly implemented. They must be in compliance with local entities, laws and procedures. For this, a coordinated approach is very crucial. No fuss approach. We provide your business various secretarial solutions. We give you the opportunity to exploit your company’s resources to their optimal potential. What are the common questions on Company Secretary Service? All companies registered in Singapore must assume a complex legal requirement of corporate compliance. In Singapore, the Accounting and Corporate Regulatory Authority oversees the reporting of statutory obligations being upheld by companies and their officers. If this happens, companies and their officers will be held responsible until they can fulfil their obligations. However, there are still many questions which may come up. We have a compiled a list of Frequently Asked Question for you. We have also provided comprehensive answers and solutions to these questions/problems. What is the meaning of the term ‘company secretary’? A company secretary is usually appointed by a director or directors of a company. His primary duty is to take on some of the directors’ responsibilities, and to reduce their workload. They can prove to be useful in ways such as maintaining and filing statutory registers and company records. Assisting the directors when needed is also the job of the Singapore company secretary. There are no formal qualifications are required for secretaries of private companies. This means that any individual or company can be a company secretary. The only thing to keep in mind regarding this area is that no undischarged bankrupt can become the secretary. A company secretary can also not be the company auditor. What different kinds of services does a company secretary provide? Attending to daily secretarial matters of the company such as affixation of common seal and providing company biz profile records. The directors are still legally responsible for the lawful administration of the company. They are also responsible for preparing and filing reports of return lies with them. Company secretary are hired only if the directors wish to give some of these responsibilities to them for a fee. Does a Singapore Company have to employ a Company Secretary? Each company in Singapore must appoint a company secretary, who is a local resident of Singapore. What are the penalties if you don’t comply with corporate obligations? If you don’t comply with corporate obligations, you might have to face financial penalties. In extreme cases, your company could get struck off. You (as a director) or your directors could also face prosecution. Any breach of the Singapore Companies Act, Chapter 50 can result in the penalties mentioned above. Therefore, it is in your best interest to make sure that these matters are being looked after in a timely manner. At Paul Hype Page & Co, our skilled and qualified staff will ensure your business complies with local laws and entities. We ensure that your company receives the very best on secretarial and governance services. If you are starting a business in Singapore, Paul Hype Page & Co. will act as the named Company Secretary. One of our qualified secretaries will act as the named secretary for your company. Paul Hype Page & Co. will give you more information and assistance on policy updates, compliance regulations and changes to tax conditions. Corporate tax in Singapore. Our team of seasoned professional can also help you set up a company in Singapore very quickly and easily following all legal entities, and offer you sound advice on how to make it successful too. Here, you will find detailed information about Singapore’s Corporate Tax System. Paul Hype Page & Co helps companies with strategic tax planning, tax advisory, and accountancy services. IRAS (Singapore’s Tax Authority) governs Singapore’s tax system, helps develop a stronger economy, better environment and a more vibrant economy. All companies, regardless of industry, have a legal duty to pay taxes. Singapore attracts investments from around the world by reducing its corporate income tax rate and introducing different tax incentives. Singapore has one of the lowest corporate tax rates in the world. As your company’s Tax agent , Paul Hype Page & Co Chartered Accountant will be fully responsible for the practice of ensuring that these conditions are met. It is important that we be highly qualified and well versed in local regulations and corporate laws, as we are responsible for the upkeep of important company files, tax reports and tax records. 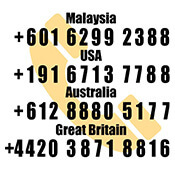 I have a local company setup here in Singapore as an expat and am currently unwhelmed by my secretarial service (and registered address) provider. Can you please email over your rates and list of inclusions for this service? Also and other information relating to standard additional costs (e.g. allotment of shares etc). I’m looking for someone who’s interest is looking after their client by being proactive with information pertaining to ACRA compliance where necessary and quick to turnaround on email communication(same day). We will be happy to offer our assistance. Our price list is very transparent on our website and we provide the full set of Corporate Secretary services that allows you to meet all your business compliance needs at one stop. I am Clara . We’re an e-procurement portal which helps to connect buyers to vendors. Right now, we have a buyer who is looking for professional corporate secretary services to handle AGM, ad hoc director movement, change in paid up capital, change in shareholdings, change in share amounts / ratios. We provide a full Scope of Secretarial services in Singapore. Let Our corporate specialist assist your company to Stay Compliance with Company Act & Clear any Confusion on Annual Returns and filing.